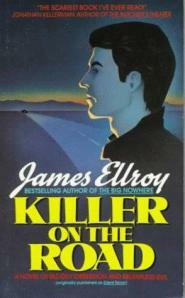 I’ve written a piece on James Ellroy’s overlooked novel Killer on the Road for the blog LaeLand. The editor of LaeLand, Lae Monie, has also kindly published an author spotlight piece on me. You can read it here. 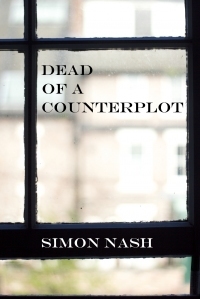 On a different subject, fellow VV contributor Chris Routledge has republished Simon Nash’s Dead of a Counterplot (1962). Nash was the pseudonym of Raymond Chapman, and Dead of a Counterplot was the first of five novels featuring academic and amateur detective Adam Ludlow. I read Dead of a Counterplot this weekend and found it to be a thoroughly entertaining combination of mystery and good humour. I can’t wait to read the next four in the series. You can find out more details of this project on Chris’ blog. ← What Do Crime Fiction Fans Do on Vacation/Holiday? Thanks Steve, glad you enjoyed it. If anyone here wants to review it, and has a Kindle, Nook, Sony, Kobo, or any other e-reader, ask and I’ll email a copy. I was knocked out when I first read Ellroy’s “Killer on the Road” back in 1990, when it was called “Silent Terror” and although as you say,it is possibly the least known Ellroy title, I can think of several British crime writers who have “utilised” the plot-twist. On the re-issue front, I hear that Penguin (UK) are publishing four of Charles Willeford’s great ‘Florida Noir’ novels. If Ellroy wasn’t a fan of them first time round, I’ll eat my fedora. Great to hear that Penguin are publishing four Willeford novels. Willeford had an even more extraordinary life than Ellroy. I’ll mark them down as a must-have addition to my bookshelf.